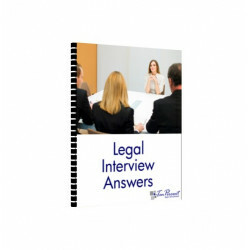 Interview Answers Guide for Lawyers and Law Students. 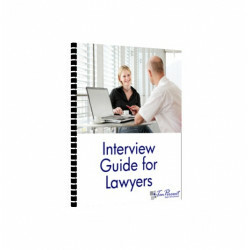 The guide is sold as an ebook available for instant download. 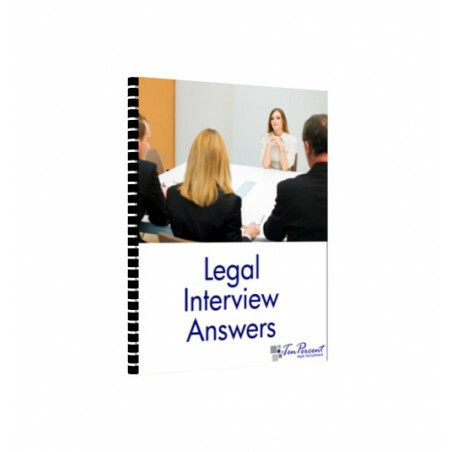 A selection of writings, articles and advice sheets from Ten-Percent Legal Recruitment on how to answer interview questions during legal job interviews. 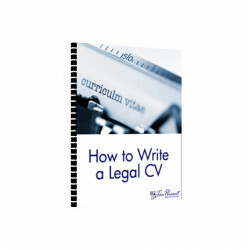 Suitable for anyone due to be going for an interview for a position in a legal setting, whether you are interviewing or being interviewed. The content below outlines the various subjects we have written about, and all the entries entitled "Question..." are suggested Answers and Advice. Question - Tell me how you would market our firm if you joined us. Question - If you had a million, how would you spend or invest it? Question – Are you ashamed of your 'new university' degree? Question – How many [jobs] have you applied for? Question – Where do you see yourself in 5 years time? Question – How was your Journey? Question - Is that your natural hair colour? Question – What do you do in your Spare Time? Question - Would you describe yourself as ambitious? Question - What contribution do you make to a team? Question - If you did not have to work, what would you do? 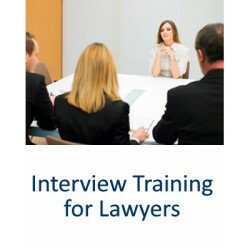 Question - What is your alternative career, should law not be the avenue for you? Question - Do you prefer to work in a team or on your own? Question - Why do you want to leave your current firm? Question - If you could take one celebrity to a desert island, who would it be and why? Question - What salary are you looking for? Question - How do you react if you find that someone you work with does not like you? Question - What are your weaknesses? Question - In your view, what are the major problems/opportunities facing the legal industry? Question - Tell me about a time when you successfully handled a situation? Question - Why do you want to be a solicitor at this firm? Question - Describe a situation requiring skills of negotiation and verbal reasoning. Business Acumen - what's it all about? 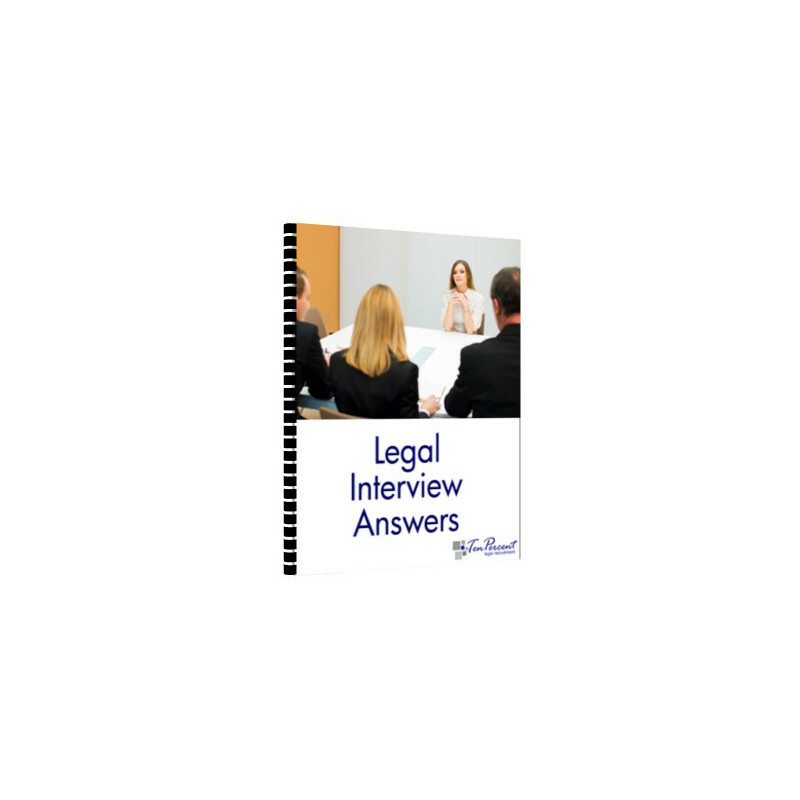 Are Interviews a good way to assess a candidate? This eBook is available online for instant download. Click the "Add to Cart" button to order. Our shop will take you through the payment process when you are ready to check out and you will receive an email as soon as payment is confirmed with a link to download the ebook.